The relationship is now 10-years strong and their bond couldn’t be greater. 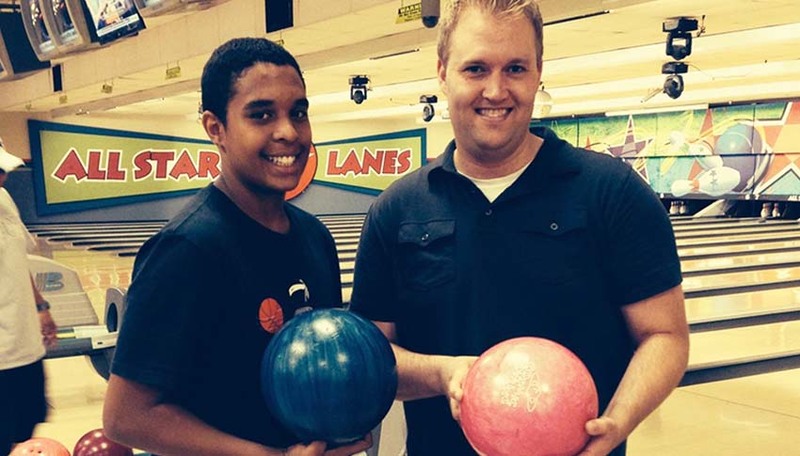 Through the years, Big Brother Mike and Little Brother Dante have enjoyed many activities such as hiking, skateboarding, going to the movies, playing video games and going to soccer games. Dante has developed a strong passion for soccer and is on a competitive team. Mike attends as many games as he can to support his Little Brother. Aside from being active, they have always been able to talk about anything. Little Brother Dante will ask his Big Brother for advice on issues or problems that arise so they can discuss solutions. “During the tough times, Mike gives me good advice to get through, whether it’s school or other matters,” stated Little Brother Dante. Mike has always encouraged Dante to do well academically and to attend college. Even in times of pressure from those around him, Little Brother Dante has taken what his Big Brother has instilled in him to rise above any influences and strive to stay on the right track. He is currently an honors student and is starting to look into what his future holds for him in college. Dante’s mother couldn’t be more proud of the success her son has seen and will continue to see thanks to the guidance of Big Brother Mike.